Early in May this year, the Clinical Oncology Society of Australia (COSA) issued a formal statement about the importance of exercise in the management of all types of cancer. As far as your sitemaster is aware, this is the first time that any professional medical oncology society has issued such a statement with regard to the management of any form of cancer. However, it is arguably about time one of them did. There is extensive information suggesting the value of both a healthy diet and regular exercise in managing the quality of life of people with cancer. The complete statement issued by COSA can be found if you click here. And a detailed editorial commentary on the statement was published on line today in the June issue of Lancet Oncology; the full text of that editorial is also available to all. The commentary in Lancet Oncology goes to some lengths to point out that the precise amount of exercise that should be “prescribed” for cancer patients is going to be dependent on a whole variety of factors, including things like the patient’s age, his or her general health status, etc. However, what is important here is that we are starting to take medical steps to emphasize the importance of things like diet and exercise in the management of cancer (as opposed to sociological steps). As the lengths of time men and women live with a diagnosis of cancer has been increasing (because of earlier diagnoses an d improvements in the effectiveness of newer forms of therapy), the importance of lifestyle in optimizing the quality of that extended life has been becoming more and more obvious. There is more to life than being alive. If we can “live well” with our cancer — whether it be for 1 year or 25 — then we become more able to overcome the fears long associated with the diagnosis. Acknowledgement of this concept by the medical community in formal guidelines is a big step forward. 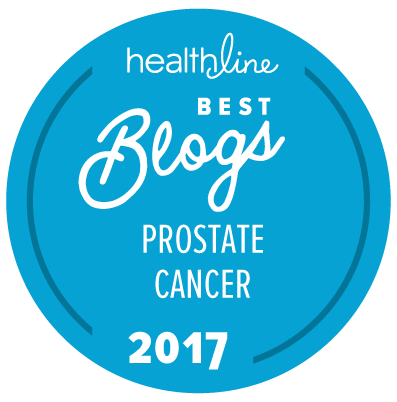 The “New” Prostate Cancer InfoLink would love to see similar guidance to their memberships coming from the American Society of Clinical Oncology (ASCO) and from the American Urological Association (AUA). We don’t expect every cancer patient to be interested in running marathons or climbing Everest, but regular exercise and a healthy diet are good for us — whether we have cancer or not. And for those of us with cancer, they may also help to make a big difference to our physical and mental well-being over a period of years.